Flat Dream is a responsive admin template based on Bootstrap 3, it has a flat design and beautiful features ready to use. 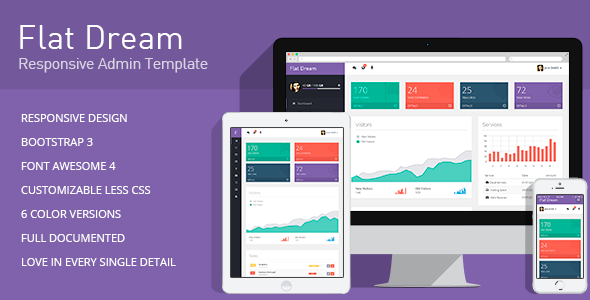 Item Reviewed: Flat Dream - Responsive Admin Template (Bootstrap 3) 9 out of 10 based on 10 ratings. 9 user reviews.